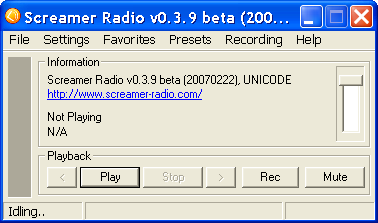 Description: It is a player for streaming Internet radio. It supports Shoutcast and Icecast MP3, Icecast OGG Vorbis, WMA and AAC streaming. It also supports recording of streams.